If you’re up for an adventure, this is the trip for you! An enemy ship has captured the treasure and the crew needs your help to reclaim the booty. 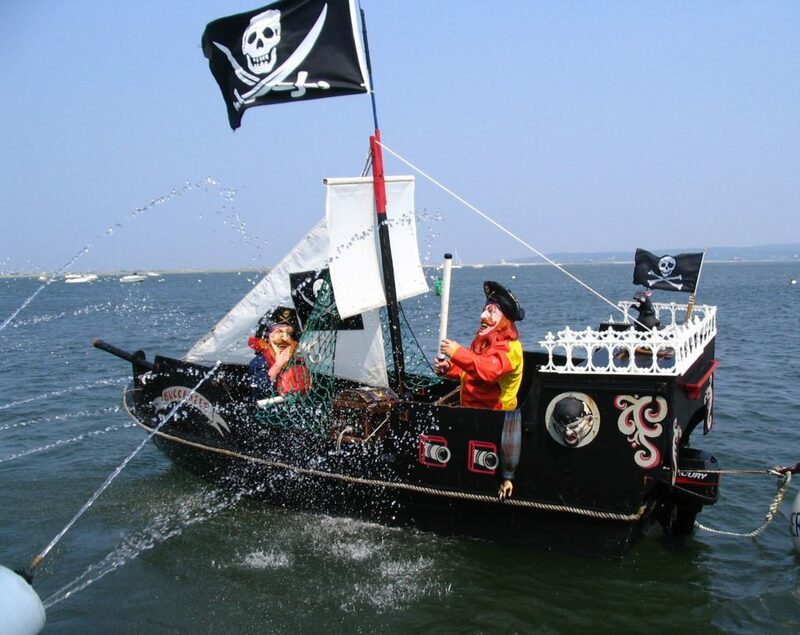 Are you brave enough to man the water cannons and battle the enemy pirate ship? Then climb aboard and get ready for a swashbuckling good time. Come join us for a celebration of music, song, and dance. Discover the true hidden treasures of the sea when you haul up a lobster trap to see the amazing creatures that live in our ocean. Lots of fun and surprises are in store on this ocean adventure. Includes: pirate hats, face painting, fist-full of treasure, buccaneer brew and a boatload of fun. Activities are appropriate for children starting at the age 4 to 10.